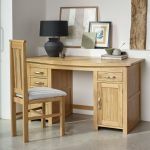 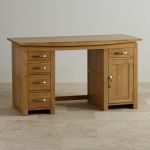 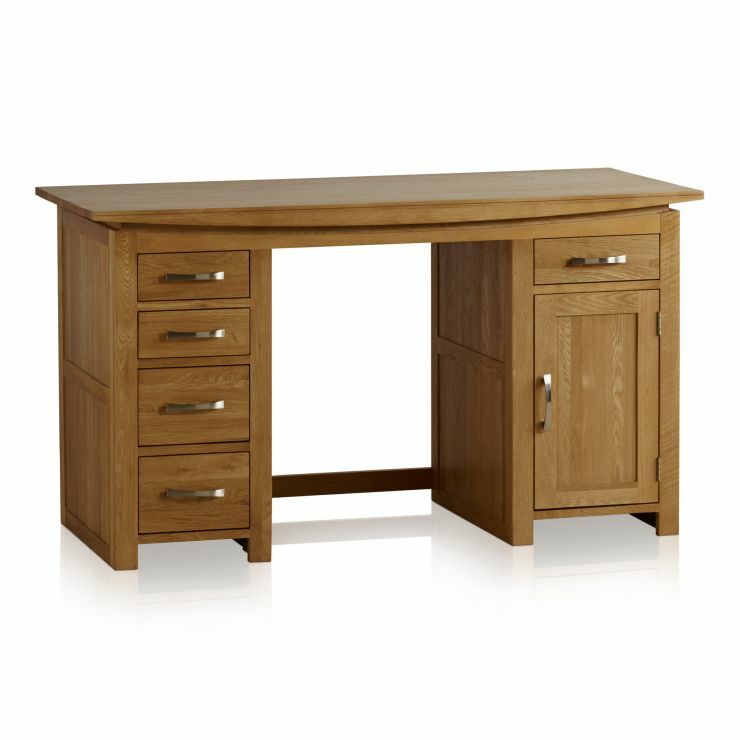 The Tokyo Natural Solid Oak Computer Desk boasts ample storage space with five generously-sized drawers and a large cupboard space. 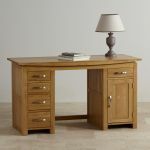 The entire Tokyo Oak collection is made from premium grade solid oak and treated with clear furniture wax to enhance the grain and accentuate the exquisite golden hues. 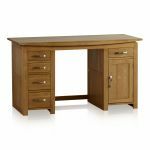 This absolutely stunning design is inspired by traditional Oriental furniture and is characterised by shallow bowed tops and sleek groove details. 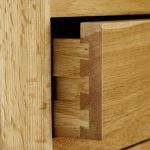 Each drawer is expertly assembled using robust dovetail joints with solid oak linings and brushed metal handles. 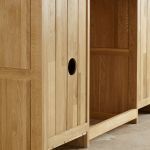 Together they offer heaps of storage space for your stationery and paperwork, while the deep cupboard is perfect for housing the PC tower. 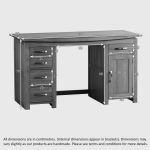 Delivery is absolutely free of charge.